Almost time to touch down in Italy! Super excited and can’t wait to eat my way through all the most amazing home cook meals and try this incredible cuisine wish real authenticity! Shoes are my life passion (& food) – alongside with my nearest & dearest. After my recent foot injury – being restricted to crutches for 4 weeks sucked – but what made it worse was the fact that after (and still to now) I still in the healing process and hence flats is the way to go – but it doesn’t mean I can’t look fabulous … Yes I love heels, yes I need height (only about 150cm – a little petite). Instagram being my muse & saviour paved the way to “The Blonde Salad” Chiara Ferragni. This gorgeous lady is a worldwide renowned blogger with over a million of supporters of her work and style … Which ended up in the release of her street yet pretty designer style shoes – think leather boots to fabulous flats. 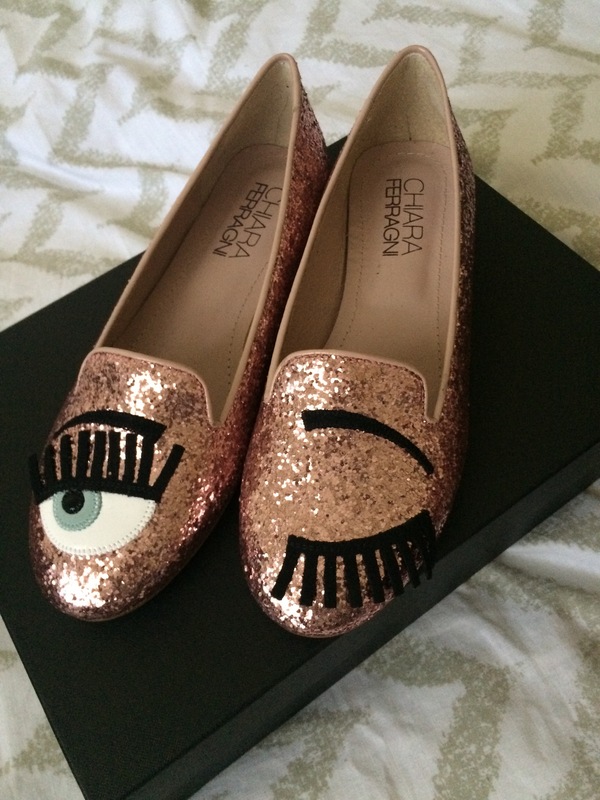 My chosen purchase is the pink slipper/ballet flats and the signature “flirting wink” … Love Love Love them and super comfy too! Not only that, but “Italians do it Better” when it comes to craftsmanship & quality … This will not be my last and only purchase in the Chiara Ferragni collection … Wishing you all a beautiful day & one more 5hr flight til I arrive in Italy! … Nearly time to be inspired to shop the look & devour the delicious Italian food delights!